North Norfolk offers some great opportunities to get out on the water. With courses, taster sessions and events, why not join in the action. 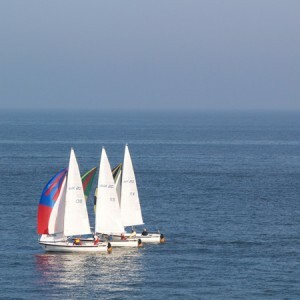 With sailing clubs dotted up and down the coast, sailing has become a long tradition that comes with living on or visiting the coast. If you are new to sailing or looking to expand your skills check out what’s on offer at one of our sailing schools. Although the waves are not as frequent as other surf destinations in the UK, when the breaks hit, the water soon starts to fill up with dedicated surfers. Popular surf breaks along the coast include Cromer and East Runton. If you fancy trying your hand at the sport give Ben at The Glide Surf School a call. The Glide Surf School in Cromer. When the winds blow they really do blow on the coast, creating the perfect location for both wind and kite surfing. Both Hunstanton and Brancaster have become popular destinations to hit the water. If you fancy slipping a wet suit on and giving it a go. 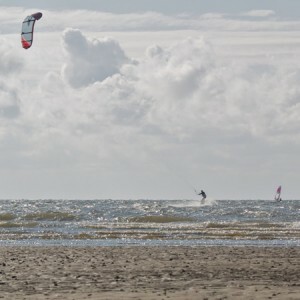 Hunstanton Watersports offers both wind and kite surfing lessons.